Driving a commercial vehicle can put you and others in danger of serious harm if you’re not fit for the road. If you’re a new truck driver, or if you need to get your medical certificate renewed by a DOT-approved medical examiner, look no further than Dr. Crystal Brown. 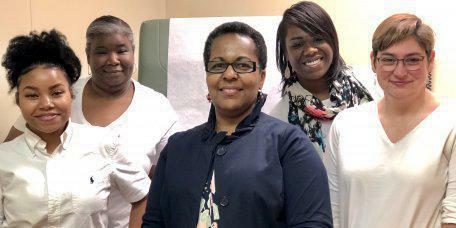 Located in the Fort Valley, Georgia, area, Dr. Brown offers DOT physicals in a comfortable, compassionate environment. To schedule an appointment, call Brown Family Practice or book an appointment online. A DOT, or Department of Transportation, physical is a special medical exam that commercial vehicle drivers are required to get to make sure that they’re safe on the road. DOT physicals test for mental, physical, and emotional issues, and only DOT-approved medical examiners like Dr. Brown can perform them. What does the DOT physical consist of? You’re required to have at least 20/40 vision in each eye, and in both eyes together, with or without corrective lenses. You also have to be able to see at least 70 degrees in your peripheral vision on each side. You must be able to perceive what is known as a “forced whisper” at a distance of five feet or less, with or without a hearing aid. Your blood pressure and your pulse are checked for high blood pressure and irregular heartbeats. You provide a urine sample to look for the presence of illegal drugs, as well as sugar in your urine, which could be an early sign of diabetes or kidney problems. Dr. Brown performs a complete physical exam, which usually includes a neurological exam, as well as an assessment of your general appearance. She also checks for the healthy functioning of your organs, including your spine, abdomen, eyes, mouth, and throat. How can I prepare for a DOT physical? First of all, you should schedule your DOT exam at least a month before the expiration date on your current card. You also want to make sure you’ve had an eye exam sometime in the last year, and that you’ve visited your regular doctor to make sure all medical conditions are treated and under control. On the day of your DOT exam, remember to bring your glasses, contacts, or hearing aids, if you use them. You also should bring any medical clearances or test results from your regular doctor. If you have any questions or need to schedule a DOT exam, call Brown Family Practice today or request an appointment online.